Two copies of the Sands and McDougall directories. 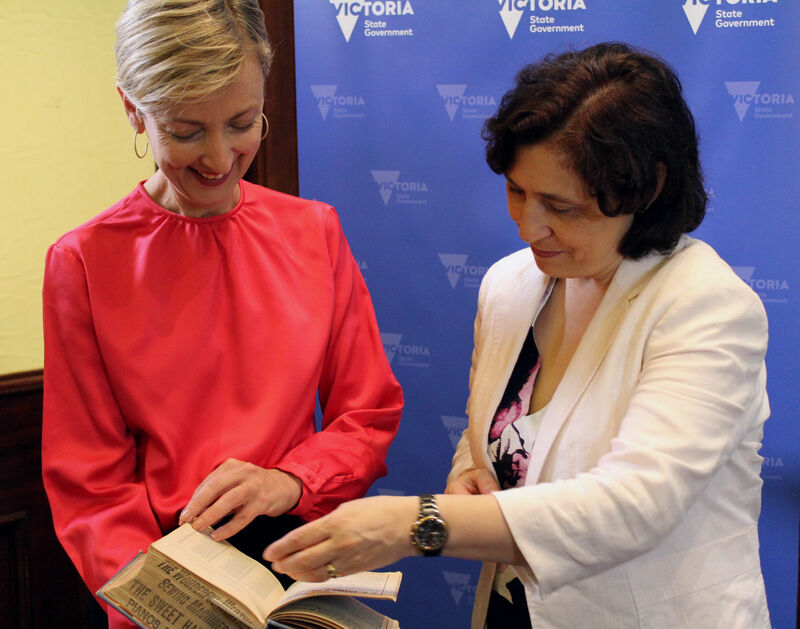 Kate Torney (left), State Library Victoria CEO, and Lily D’Ambrosio (right), Minister for Energy, Environment and Climate Change, looking at a Sands and McDougall directory. Minister for Energy, Environment and Climate Change, Lily D’Ambrosio, announced the online release today accessible through the State Library catalogue. The Library has digitised the directories in five-year intervals, providing a comprehensive overview of Victoria’s land-use history. 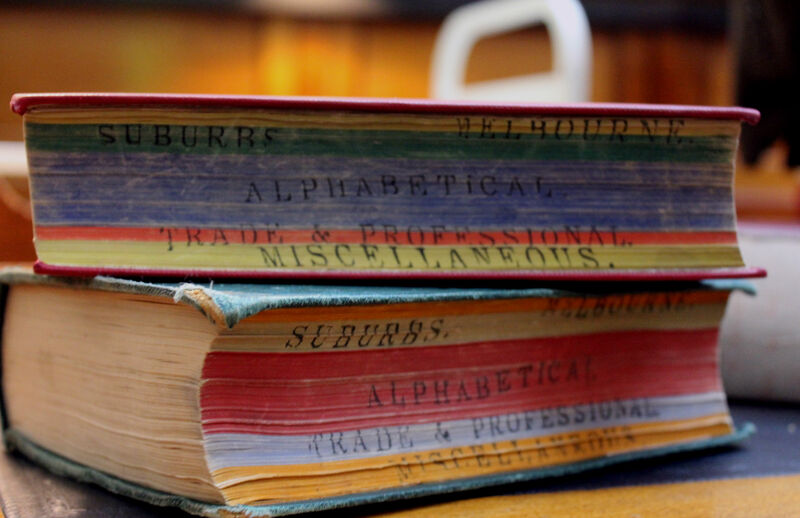 State Library Victoria will continue to digitise the remaining records as part of its ongoing digitisation program. A Sands and McDougall directory. 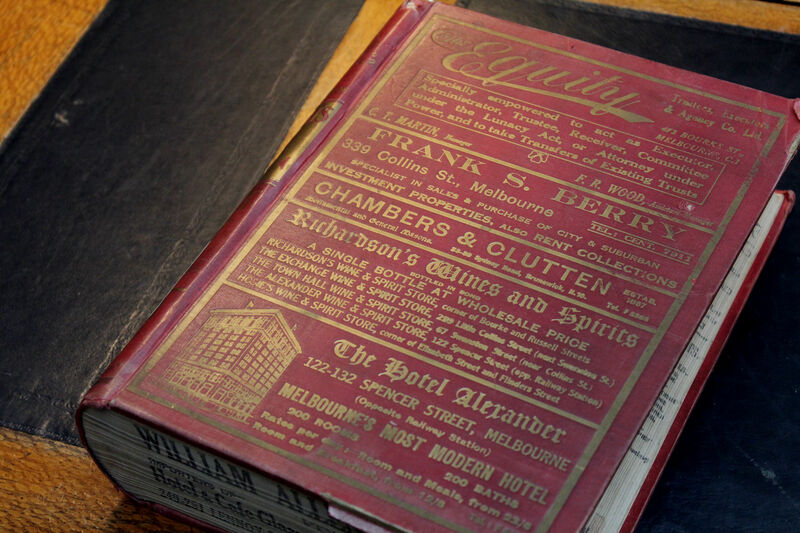 To search the digitised Sands and McDougall directories, State Library Victoria’s collection. The first half of the collection is now accessible and the full collection will be available this week.